Charles P. Atlas son! A great out-cross for the many common bloodlines out there! His first crias hit the ground in 2015 and they are impressive! Each year his cria are looking better and better. 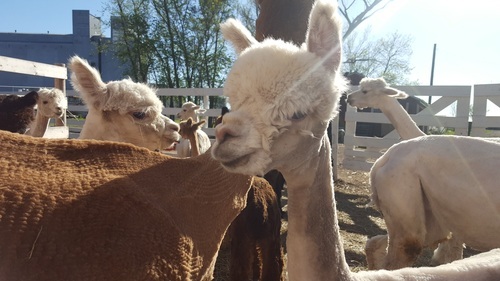 Some of his cria are taking home ribbons at their first shows! 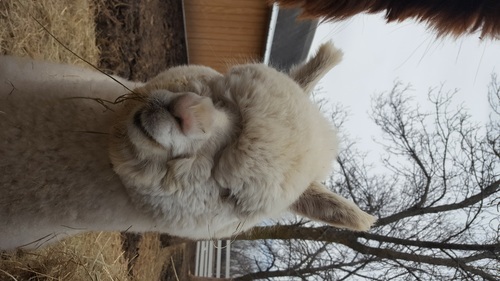 Einstein is passing on his beautiful fleece, great confirmation, good looks, fiber coverage, and a wonderful personality! 1/4 Accoyo, Non-Breeder looking for a forever home! "Katie" is all white with just a brown spot under her jaw. 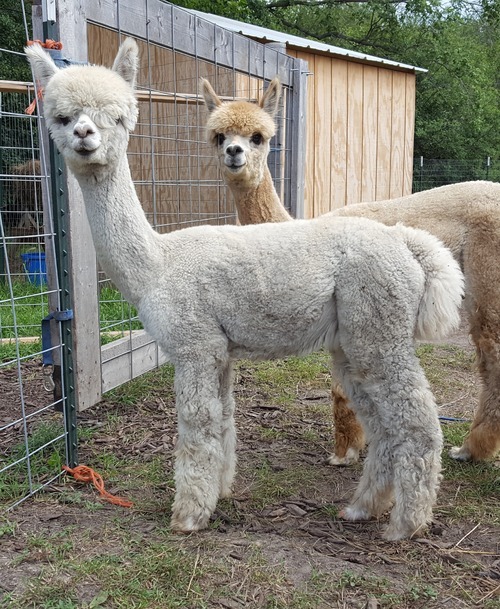 She has wonderful super soft fleece and great conformation. She is one of our favorites! Due to her age and recent trouble birthing she has been retired from breeding and WE RECOMMEND NO LONGER TO BREED HER. Currently has a sale pending on him, if you want to be put on the waiting list please let us know. Full Peruvian and a full brother to our Odie. Poe loves attention and is just a chill dude. Poe has outstanding conformation, a perfect bite, great bloodlines, and tons of fiber on that frame! He will make someone the best starter Jr Herdsire, or a fiber boy! 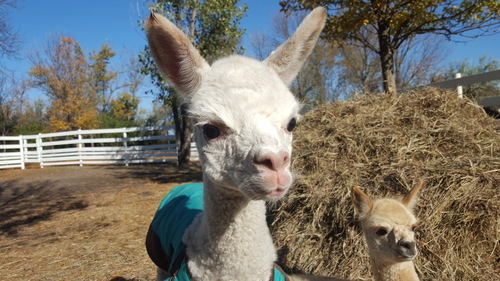 If he is anything like his brother, Odie, he will produce many pounds of fleece!